The Oro Provincial Treasury Office was broken into on Wednesday (21/09/16) night following a clean-up exercise by the Oro Provincial Government into the Provincial Treasury. A frustrated Governor Gary Juffa stated that the continued effort to address corruption in Oro has uncovered what appears to be a syndicate of individuals including administration, treasury and bank staff collaborating with criminals and other private citizens to defraud the province and the people of their funds and is revealing interesting names. 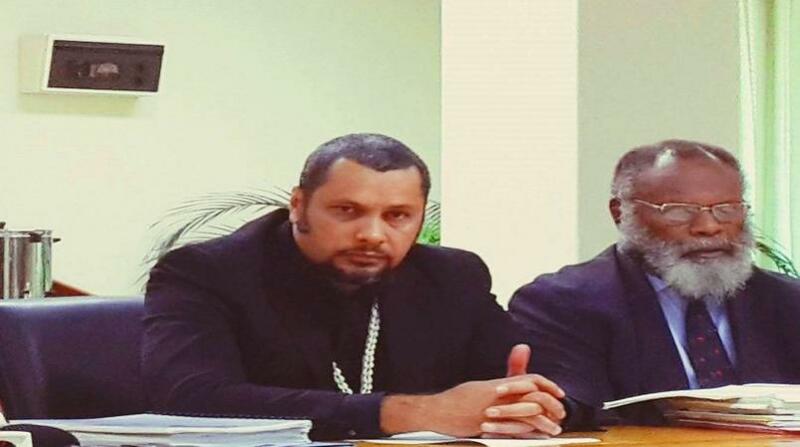 Juffa said the most recent break into the provincial Treasury office was yet another indicator that certain people in Oro who are involved were hell bent on covering their tracks but added this would not deter the work his office was undertaking with the police. He said for too long Oro had been in the grips of criminals who have found ways to bypass processes and procedures and checks to steal public funds and the result has been a province stagnated in the past 40 years. These were actions by well-educated and trusted officers who have been placed there to serve as public servants, he said. It was unusual that the treasury office was broken into when it did not have any cash or item of value but information, he said. Governor Juffa said it was also suspicious that it occurred after the new Provincial Treasurer had started to put his foot down and had demanded accountability and proper procedures be followed. “There will be no hiding as we are ready to reveal all. The thieves and criminals are not those on the streets with guns but those in offices with folders and fraudulent documents. It is no surprise to me as we have a new treasurer and PPC and we will get to the bottom of this,” said Juffa who is also sector chairman for finance and had been insisting on financial reports from Treasury and Oro Administration for months.